Any fan of the Gilmore Girls knows that Lorelai and Rory Gilmore lived in the charming town of Stars Hollow, CT. Even though the town was fictional, you can nonetheless visit the area from which Stars Hollow took its inspiration. Washington is said to have been the model for the Gilmore Girl’s hometown. The shows creator, Amy Sherman-Palladino, fell in love with Washington while staying at the Mayflower Inn & Spa and decided to use the town as a starting-point to develop her idea for a new television series. In fact, the first ever Gilmore Girls Fan Festival was held in Washington in 2016. Retracing the steps of the Gilmore Girls is an exciting adventure and fun way to explore Washington. While Marty’s Café may not look like Luke’s Diner, its friendly atmosphere will surely remind you of the Gilmore Girl’s favorite place for coffee in Stars Hollow. Marty’s is a favorite among local residents and, like Luke’s Diner, it’s not uncommon to see the same faces there every day for breakfast and lunch. For an authentic Luke’s Diner experience, check out the Café on the Green located on the Washington Green. Its vibe will immediately transport you to Stars Hollow and you can even order a delicious burger off of their menu, just like a Gilmore. Another favorite of Lorelai and Rory was Weston’s Bakery, which is akin to Washington Depot’s The Pantry. The vintage feel of Luke’s diner comes from the fact that space was formerly his father’s hardware store. If you were ever curious as to what the store may have looked like when Luke’s father was running the register, make a trip to Washington Supply Company. This hardware store has great small-town charm as well as anything that you may possibly need to complete a home project. It’s always fun to learn about a town by checking out the local hardware store. Come visit where it all began! The Mayflower Inn & Spa is where the Gilmore Girls’ creator, Amy Sherman-Palladino, stayed in Washington during her vacation to Connecticut. The town’s beauty, warmth, and small-town camaraderie quickly captured her heart and she decided to recreate these elements in her first script for the Gilmore Girls.This beautiful hotel is also reminiscent of the Independence Inn where Lorelai worked during the early seasons of show. Visitors can lodge at the Grace Mayflower Inn or visit for a cocktail or a lovely meal. Chilton Preparatory School served as the major source of conflict for the show’s early years as Rory Gilmore attended this prestigious school for the first three seasons of Gilmore Girls. For anyone wanting to walk in Rory’s footsteps as a student at Chilton, be sure to visit The Gunnery. A college preparatory boarding and day school, The Gunnery has been a staple in Washington for generations. Its beautiful natural surroundings and classic architecture will surely remind you of Chilton. as well as help you to relive the high school experiences of young Rory. As in the show, Washington’s Green is the event space and social hub for the town. It hosts various festivals, fairs, and concerts throughout the year that attracts both locals and visitors. The green is also a recreational space where people can go to relax on a pleasant day or have a picnic lunch. Like in Stars Hollow, several shops, restaurants, and a church can be found in the area around the Green and around “The Depot”. Perhaps Rory’s favorite place to shop, Stars Hollow Books is a replica of Washington’s Hickory Stick Bookshop. With over 60 years of experience and a wide selection of books, Hickory Stick will fill you with the same sense of pleasure and wonder that Rory had while walking through the bookstore in Stars Hollow. In fact, Washington’s beloved bookstore was the main attraction for fans during the town’s first Gilmore Girls Fan Festival back in 2016. After you visit Hickory Stick, take a walk around Washington Depot and check out Titus Park and Garage to see a close copy of Gipsy’s garage in Stars Hollow. Washington Food Market is the real-life version of Doose’s Market. As in Gilmore Girls, it is the only full-service grocery store in town and every resident must make his or her way down its aisles to buy groceries. It has been operating in the same location for over 100 years and prides itself on being a family-run business. Be sure to stop by Washington Market while you are on your Gilmore Girls adventure. You may even see Dean stocking the shelves! 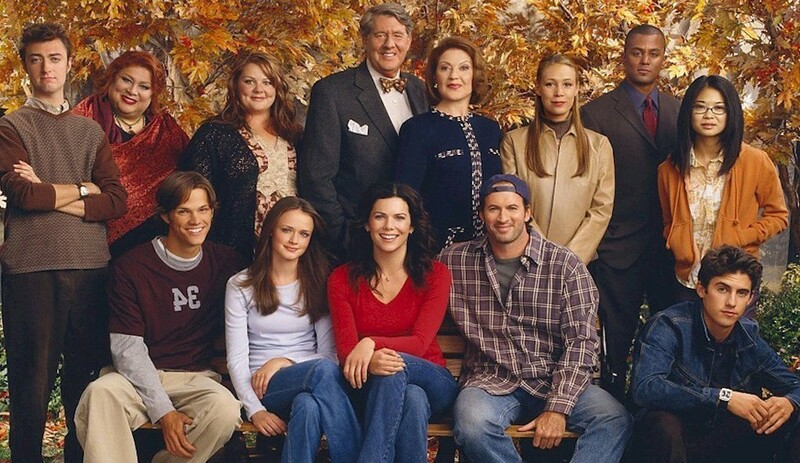 Throughout the series, fans would see all of the residents of Stars Hollow gather for meetings to discuss news and make important decisions. If you want to relive a typical Stars Hollow town meeting, then make a trip to Washington’s Bryan Memorial Town Hall. It is here that the first selectman and fellow residents come together to talk about Washington. While you may not see Taylor Doose walking around, you will still be able to experience the small-town camaraderie that was a major part of the show.